This is a creative and pretty door hanger that can be made as a Valentine’s Day decoration. 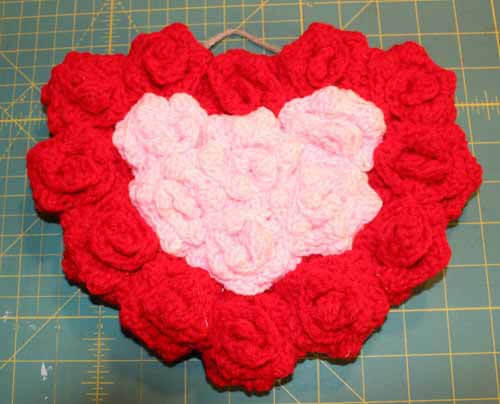 It was made using a purchased wooden heart and crocheted roses. It can add a unique decorative touch to any home.